Then —as the Coasters didn't sing— "Along came Craft." At the close of last year (December 2013), the U.S. was home to two-thousand seven-hundred and twenty-two breweries (with an additional one-thousand seven-hundred and forty-four breweries in planning, almost half-again as many!). Looking at this in another way, in 2012, there were 2,403 breweries; thus, in one year, there was a 13.275 % increase in the number of U.S. breweries. A restaurant-brewery that sells 25% or more of its beer on site. A brewery that produces less than 15,000 barrels per year with 75% or more sold off-site. Breweries producing more than six million barrels of beer per year. These are preliminary figures. The BA will release its final data and analysis in April, concurrent with its annual confab, the Craft Brewers Conference. One of those 2,722 breweries was the Heritage Brewing Company. And, this Manassas, Virginia, brewery might have just been the 2,722nd, precisely. Heritage opened its doors to the public, for the first time ever, on New Year's Eve. 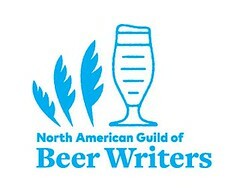 Here is the list of the top 10 breweries (and 'craft' breweries) in the U.S. during 2012. 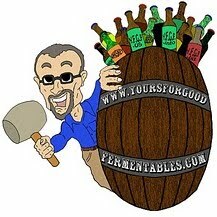 A barrel of a beer is the equivalent of 31 U.S. gallons, or 13.7 cases of beer (twenty-four 12-ounce cans or bottles).